I’ve been following the Sew Photo Hop on Instagram (organised by Rachel at House of Pinheiro). I’ve loved the little glimpses into other people’s sewing lives and getting to know them a little bit better. Sew Photo Hop is a daily photo challenge throughout the month of August. The aim is to post a daily photo on Instagram from a set sewing theme list. Anyway, I got to wondering why I wasn’t also taking part. So on day 13, I finally joined the #sewphotohop party! Having been a bit late in joining up, I thought I’d write a quick blog post as my way of catching up especially since I seem to have acquired a few new followers of late (despite my apparent inactivity on the blog!). My name is Steph and I blog (or try to) about my crafting here at http://www.stepherella.co.uk. The name Stepherella was given to me by a good friend that I did my PhD with and it kind of stuck! Yep, I’m a former microbiologist though recently turned nurse. I’m currently on maternity leave. I’m married to Toby and our little boy ET was born in May. We currently live in London , but soon we hope to be moving to Bedford and up-size to a house and garden! I’m not one for sharing my emotions online but the answer to this one is very definitely my boys. ‘Nough said. Yellow, yellow and more yellow. Everyone needs more yellow in their lives. Like this clutch bag I made and use for my makeup! Work and play are intermingled at the moment as I am home on maternity leave. I try to sew in between changing nappies, feeding, making formula and sterilising bottles. This would probably have to be Sew Over It’s Betty dress. I love how this dress looks and the silhouette it gives me. It’s also the dress that has helped to get me back on the dressmaking wagon, so whilst it hasn’t changed my life as such it has influenced my sewing life! I wasn’t entirely sure what too say about this one – but in the end I thought I’d show off my first ever attempt at overlocking again because I’m pretty proud of it! It has to be said, however, that I’ve had less success since. Thinking of trying to get a lesson – maybe someone has some recommendations in London or Bedfordshire. My sewing may be accompanied by a variety of music including Paul Simon, Madeleine Peyroux and Charlie Winston. 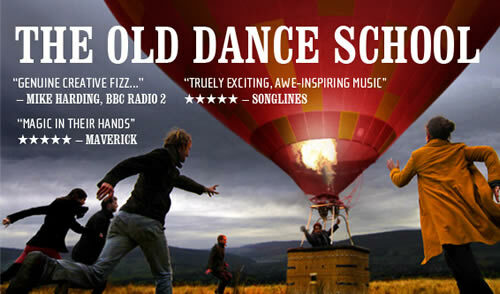 Jazz and Folk music feature highly in the music collection, including The Old Dance School. ET’s first gig when just a few weeks old was to see these guys in Shepherd’s Bush and we are looking forward to the new album in this household! My fabric stash is all hidden away in these boxes under a stable in our living room. It isn’t all that huge but there is no scope for it to get any bigger – so I need to make more before I buy more! I have no picture for this one. I tend to see items in other people’s wardrobes that I want for myself but rarely the whole wardrobe. I do envy anyone who has had the time to construct an entire handmade wardrobe though! Again…no picture. On my sewing bucket list is to have an entirely handmade wardrobe- but that isn’t going to happen any time soon! I suppose at least I’m realistic. My motivation to sew is that of all my crafting. I love beautiful things and I love seeing an idea come to life. And I enjoy the process. I wouldn’t do it if I didn’t!! And that is that – the remainder of my photos will be on instagram (@steph_er_ella) staring today with my sewing space – find me here.